Photo by Doug Loyer Bash goers enjoy entertainment and activities on Putnam Street. Photo by Doug Loyer Steven Moore, a two-time National Banjo Champion, entertained the crowd on the Front & Putnam Street stage during the Brick Street Arts Bash on Saturday in Marietta. Photo by Doug Loyer Sabrina Wittekind performs Bollywood dancing on the brick intersection of Putnam and Second streets during the Brick Street Arts Bash. 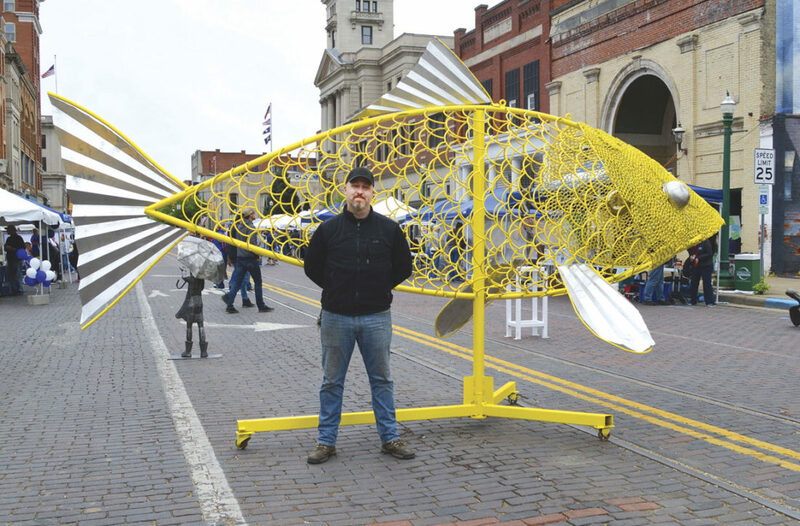 Photo by Doug Loyer Artist David Griesmyer stands in front of his welded 20-foot-long fish sculpture displayed during the Brick Street Arts Bash on Putnam Street. 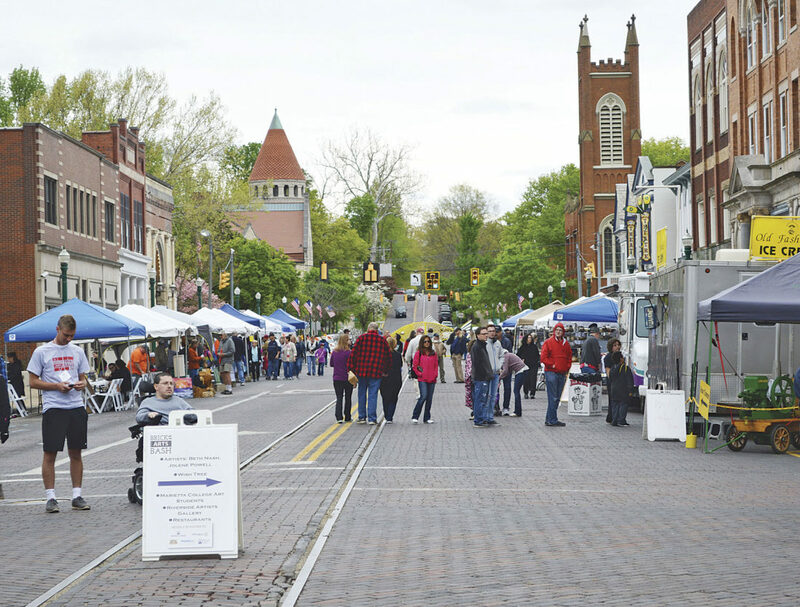 MARIETTA — The first ever Brick Street Arts Bash, a day-long celebration of the arts and art education, was held in a two block area Saturday on Putnam Street in Marietta. The event was organized by a group of Marietta College Music students with Leader-in Residence, Donna Collins, the Executive Director of the Ohio Arts Council. The event was free and open to everyone. Activities included a wide range of live music, dance and theatre performances on two outdoor stages and in the Peoples Bank Theatre. There were also art exhibitions with support from local businesses, hands-on art experiences and dance activities, arts vendors and a variety of food. “The rain has held off. That’s the biggest thing,” Marshall Kimball, MC Music Department Chairman, said Saturday. 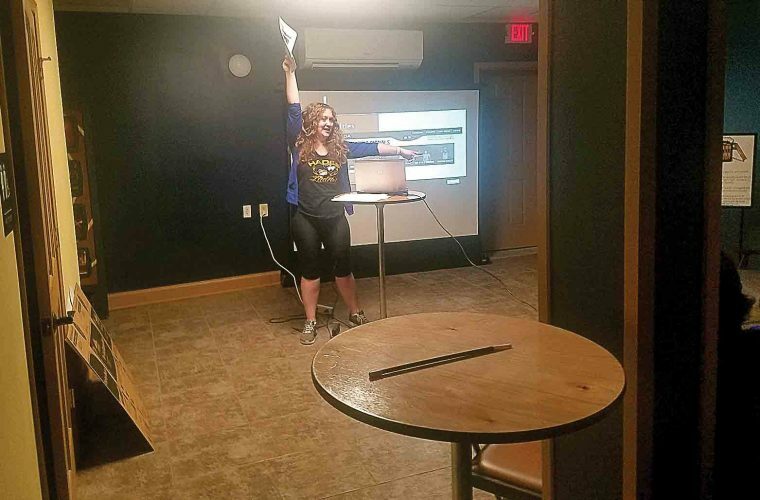 Kimball said one of the goals the organizers set out to accomplish was to bring the businesses, community and college together and to make people aware of the arts. He felt that they accomplished that. The first Brick Street Arts Bash was well attended by all ages. Even though rain was in the forecast, it never did rain but the weather was cool. 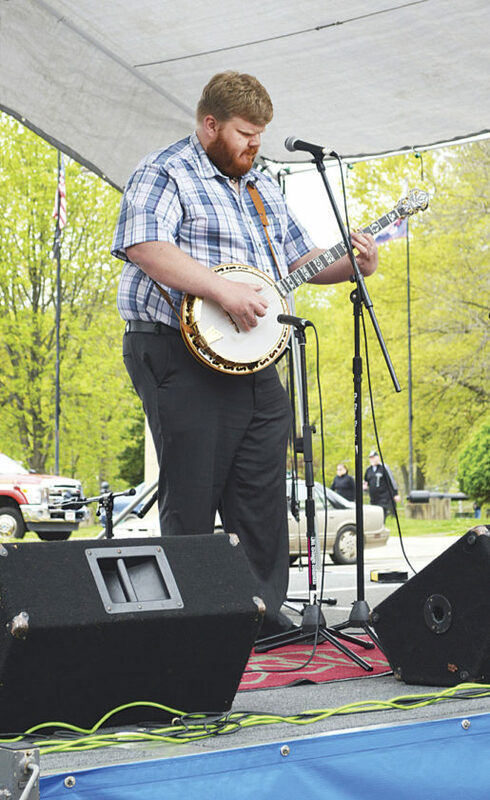 One of the crowd favorites was banjo player Steven Moore, 25, of St. Clairsville, who is a 2012 graduate of Marietta College. 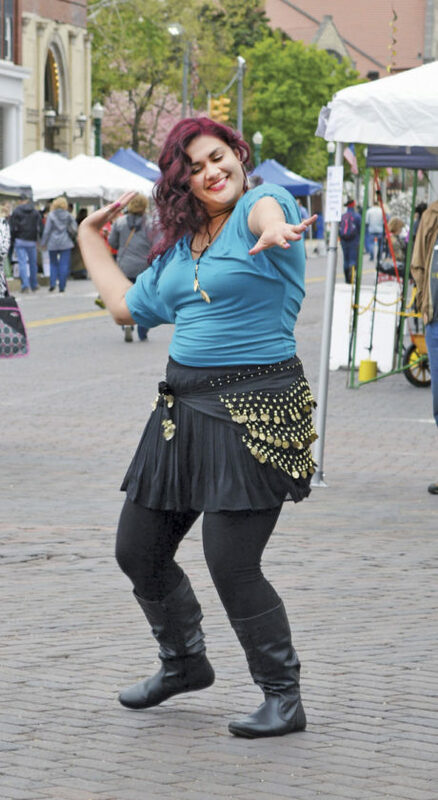 Sabrina Wittekind, of Marietta, performed “Bollywood dancing” which is a genre of music that comes from movies. Welding artist David Griesmyer, 38, of Malta, finished his welded 20-foot-long fish sculpture just in time for Saturday’s event and it was well received. The large fish sculpture on display at the bash will be one of nine fish when done. It will be a school of fish. They will be 20 feet up in the air beside each other. Griesmyer said it will be part of a series of sculptures he will do that will ultimately be displayed between Zanesville and Marietta. Other sculptures to follow will be a 25 foot tall buck and also a sculpture of a doe and two fawns. 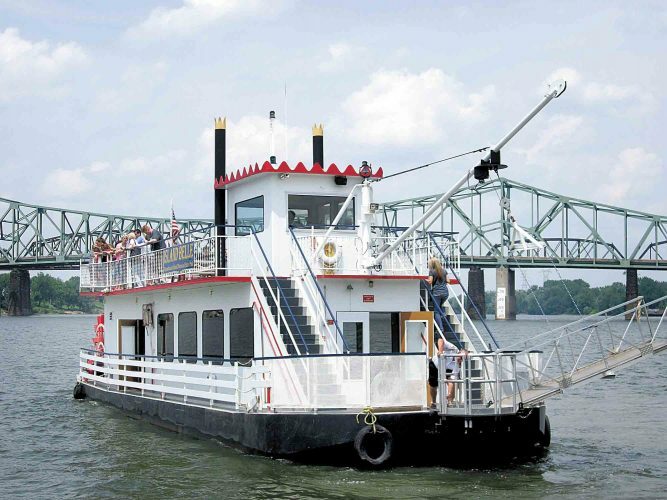 The idea is to bring tourism to Southeast Ohio. Griesmyer said he hopes the Brick Street Arts Bash becomes an annual event. He wants to be a part of it. There were many vendors at the Bash including photographer Deb Lorentz, of Veto, who was selling fine art photography. Maribeth Saleem-Tanner, of Williamstown, enjoyed the day at the festival with her children, Jonah Tanner, 4, and Iris Tanner, 8.